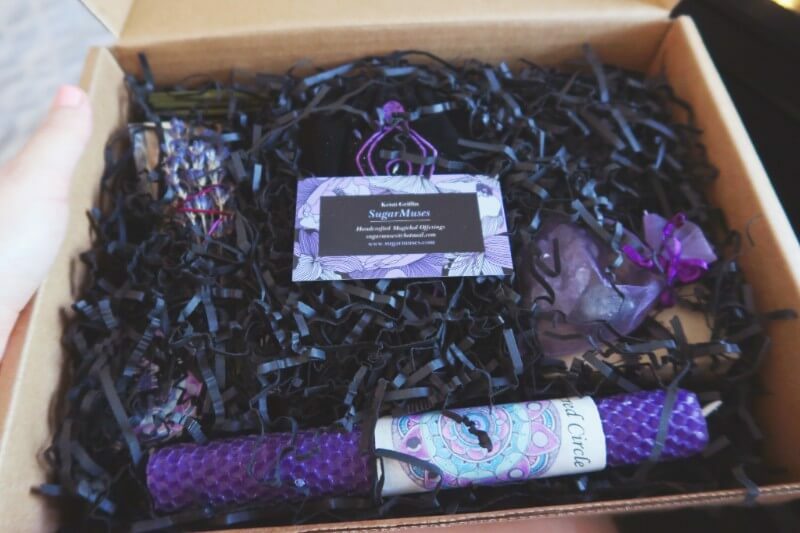 As you might’ve noticed, I’ve been on a witchy box reviewing spree recently. 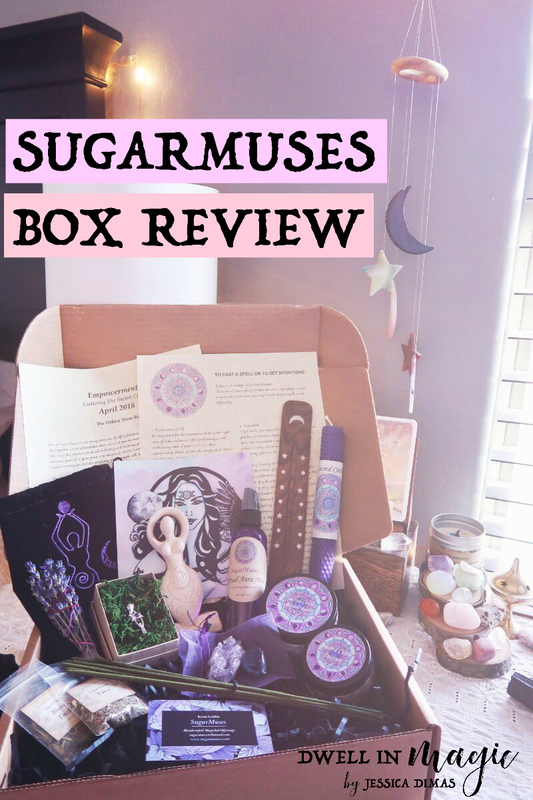 SugarMuses is one of my top-clicked boxes here on the blog, so I wanted to do an actual unboxing for you so you can better see what comes in this beautiful subscription box. 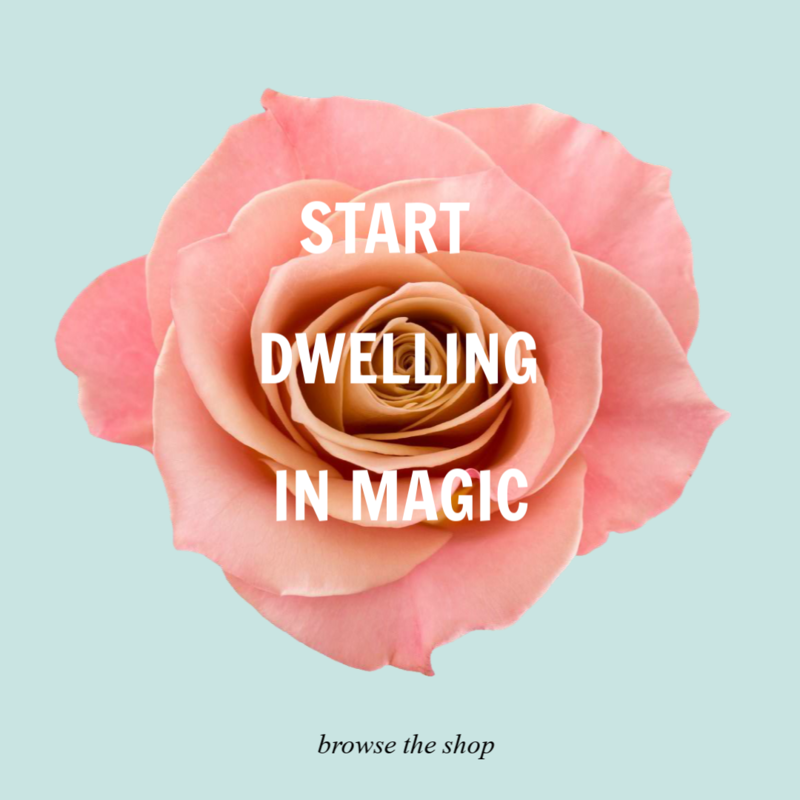 SugarMuses is a subscription box for witches to help you connect with your sacred intuition, to help you step fully into your power, and to start creating the life you dream about. They send candles, incense and smudge sticks monthly, as well as gemstones, herbs, oils and handmade/or fine jewelry. 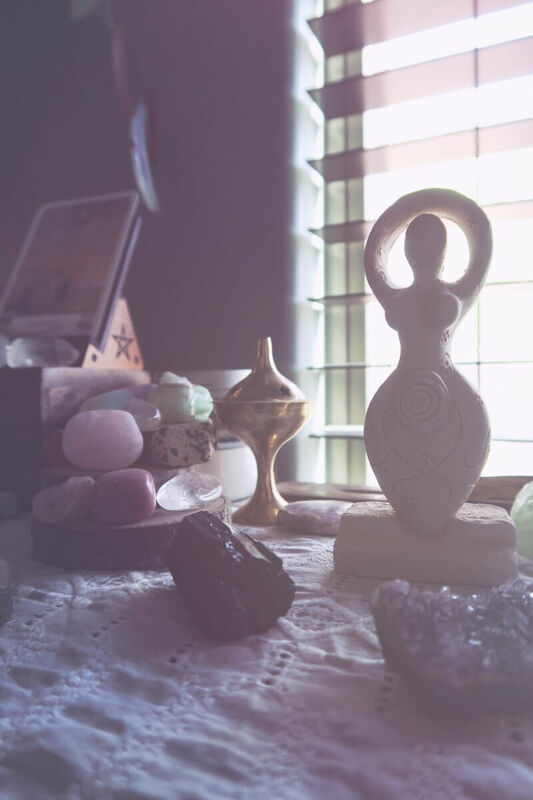 They help keep your altar tools stocked, send sacred space tools, and they also send information for each item you receive as well as rituals, spells and affirmations. The main thing I like about this box is that they send multiple, quality items for a great price. That’s a good subscription box to me, because I don’t want a bunch of cheap stuff, nor do I want just a few items. SugarMuses definitely passed my box requirements in that regard. My first impression of this box was that it’s very intentionally put together. The box smelled amazing before I even opened it and I really liked the way everything was packaged so thoughtfully. From the quality of the crystals I received to the three-page printout explaining all the items and how to use them, I just really liked the obvious way the creator had put time and love into this box. 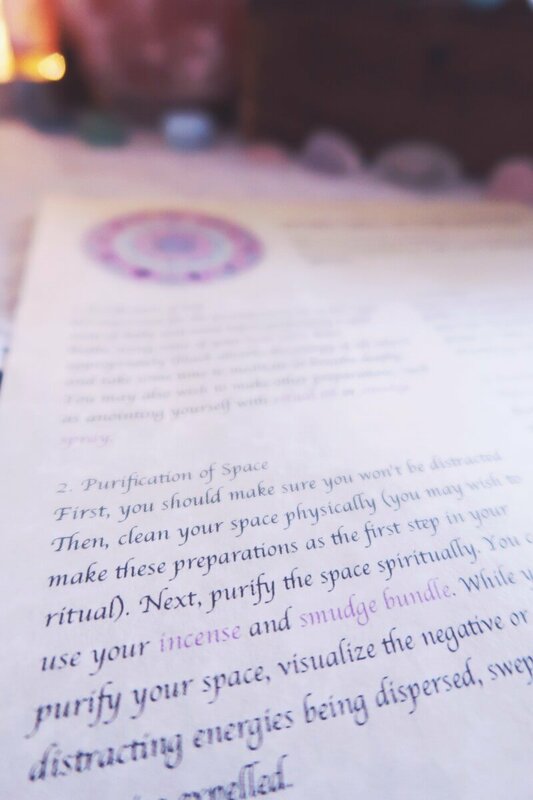 The above photo is the spell/intention instructions that came in the box and I like the way it incorporated the items we received. It really helps to be given inspiration on how to use the items or how to use them in a way that fits the season. How BEAUTIFUL is this goddess statue? It’s pretty hefty and makes such a gorgeous altar display and reminder. 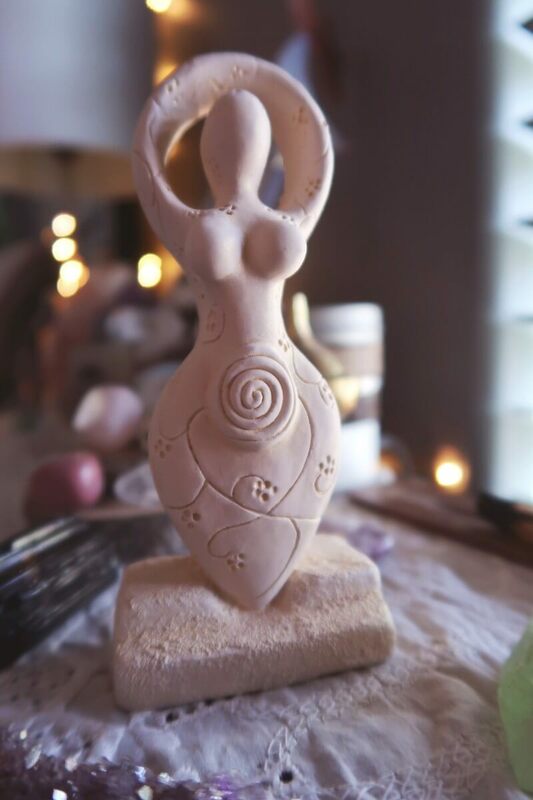 Honor the Divine Mother in your home or on your altar with the Spiral Spring Goddess Statue. 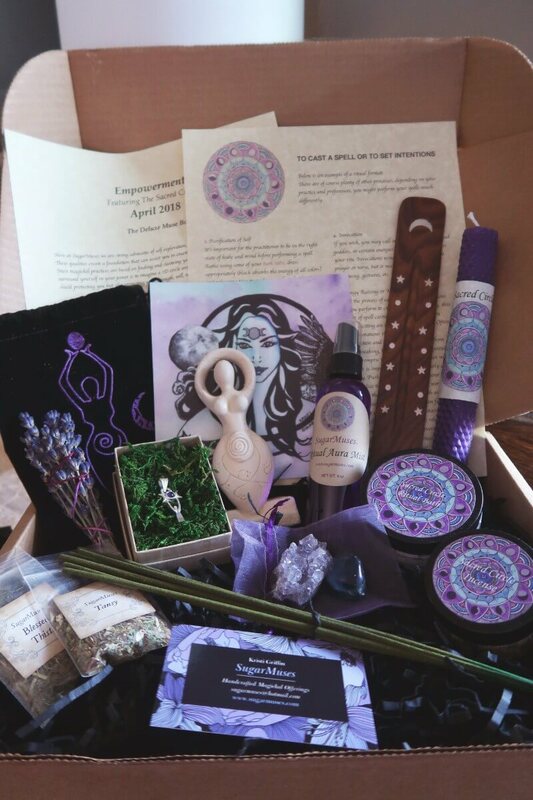 The Spring Goddess carries the message that when women access their unique essence and when united, they will have the power to transform the world. This beautiful statue is made of gypsum cement and stars approximately 5.5″ tall. 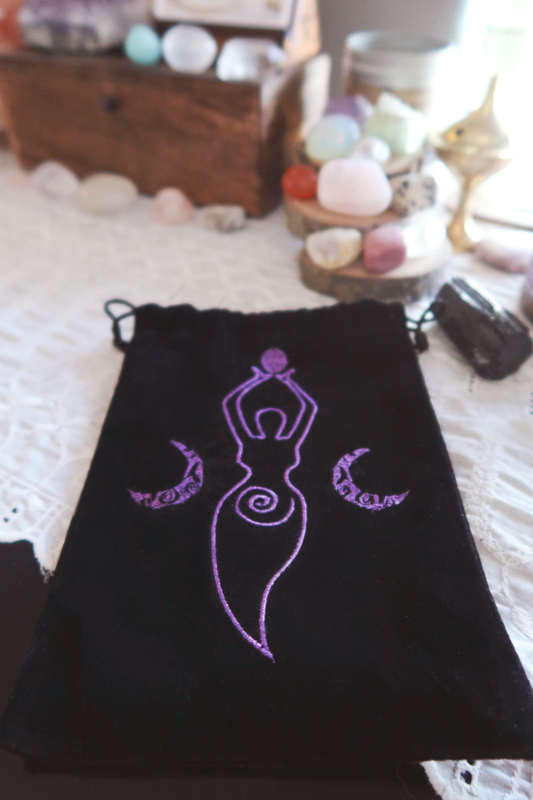 Next we received this decent sized Goddess bag to hold sacred tools, items, the Goddess statue, or jewelry. This would be really great to carry sacred items when you’re traveling. I would fill mine up with a few crystals, a palo santo stick and one of my card decks to keep with me when I don’t have access to all of my tools. I loooove these types of candles and was so excited to receive one in such a beautiful color. Infused with lavender buds and essential oils. 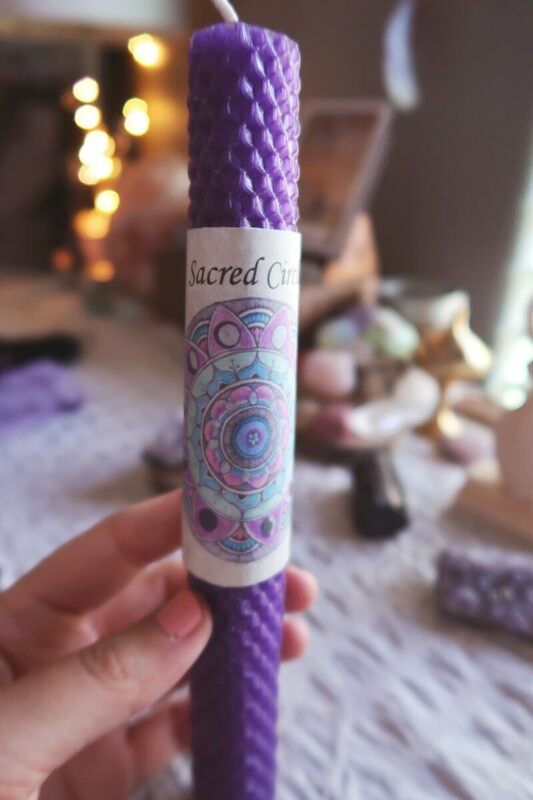 This candle features custom mandala artwork. Every color has a vibration and frequency, which has its own energy. The color Purple embodies the balance of red’s stimulation and blue’s calm. It is the color of psychic awareness, spirituality and power. If you are not using a candleholder, simply place a flame to the bottom of your candle, allow wax to puddle on a protected surface, and immediately put your candle in the middle of the warm wax (in an upright position). Hold until it is firmly in place. Remember to never burn unattended and to remove your label when the candle starts to burn down. 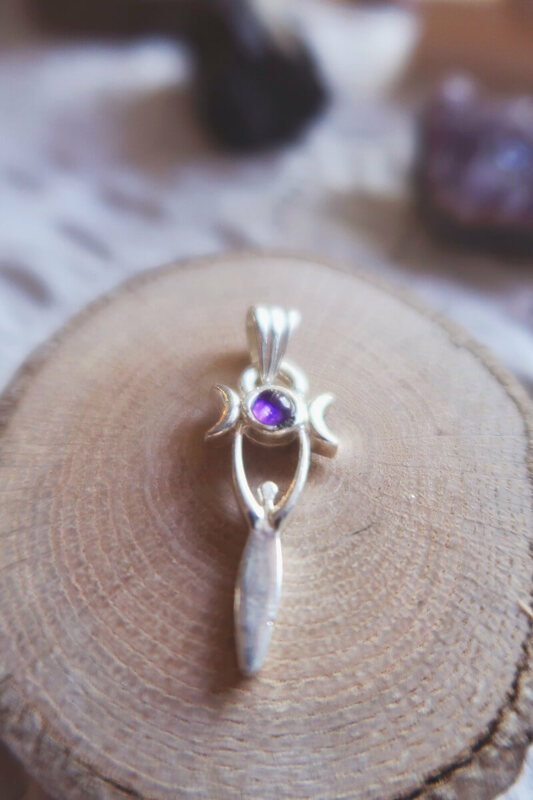 Next is this dainty, beautiful Goddess pendent with an amethyst gemstone in the middle. Amethyst is one of my favorite gemstones to work with, especially in divination and spiritual growth. It’s so calming. Made of white metal (lead free) this pendant features an amethyst gemstone. This iconic symbol can be worn to honor the Divine Feminine in all three phases of Life (the triple moon symbol). To charge your pendant and get the maximum benefit out of any piece of jewelry, it is advisable to form a link between yourself and the cosmic forces that will operate through it by performing a simple act of empowerment. She goes on to explain how you do that with a powerful visualization. I can’t tell you how excited I was to receive these two gemstones. They’re both in my top favorites to work with. 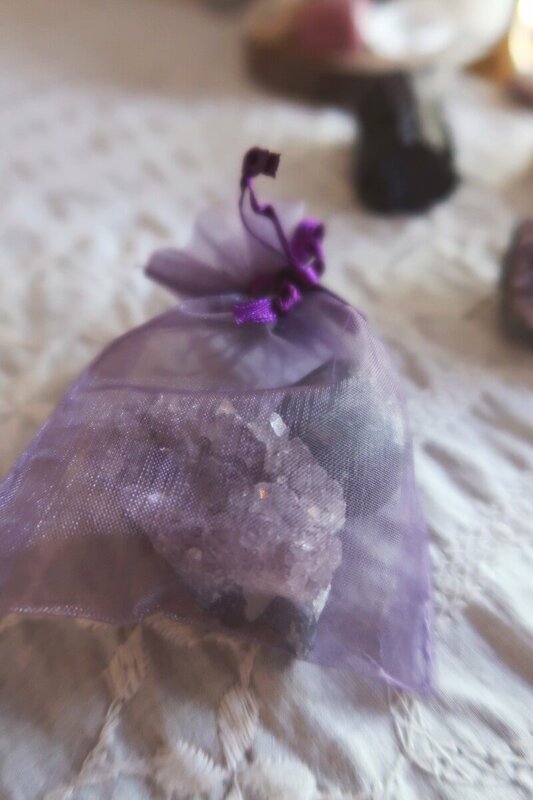 Raw amethyst is a powerful gemstone that helps to amplify healing. Amethyst stones are also known for their ability to empower individuals and to help in the achievements of dreams and goals. 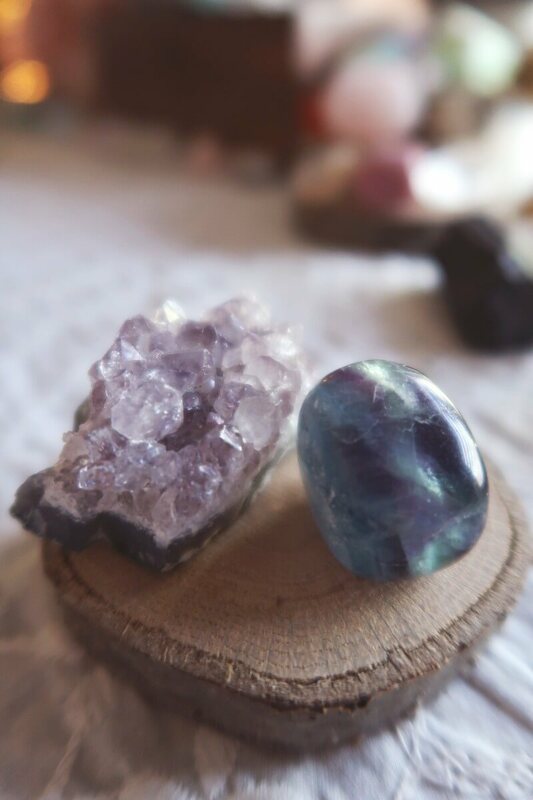 Tumbled fluorite is incredibly energetically potent. Fluorite is a powerful tool of soul pathing and will connect you deeply to your unique spiritual gifts. It will bring you a sense of empowerment and optimism about the future, and serve as a guide on the path toward your Highest Calling. I actually didn’t know this about fluorite, so I’m really anxious to begin working with it more than I have been. These bath salts smell so good without being overpowering. 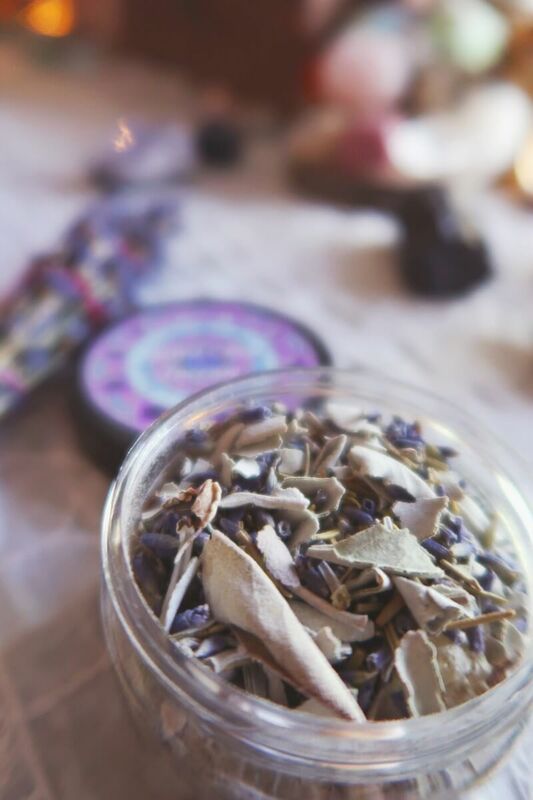 I used them the other night during my new moon ritual bath and I loved the magical feel of the little pieces of lavender that were gracing the top of the water. Made with dead sea salts and infused with lavender, black spruce and lavender essential oils. 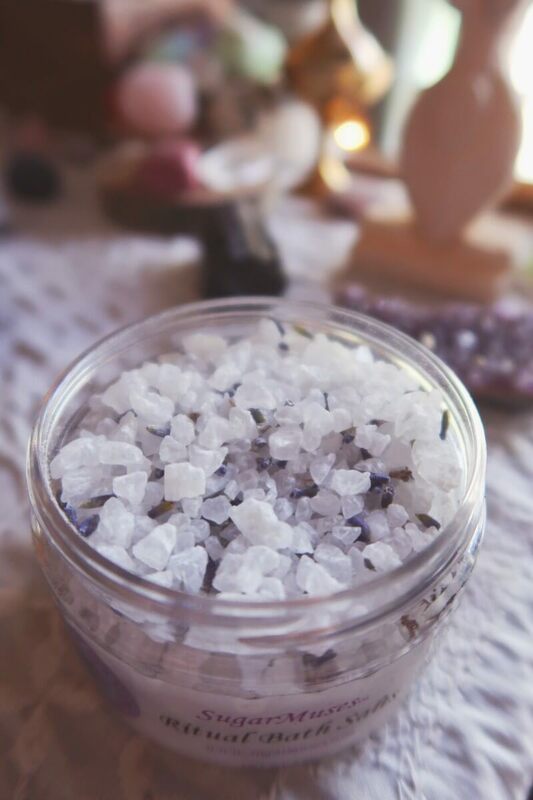 Use your salts to cast circles before meditation and rituals, place in a bowl for your altar or use in the bath to surround yourself in these positive energies. It’s hard to say which item I’ve been using the most out of the box, but this aura mist would definitely have to be in the top five. I spray it after a long day and anytime before I connect with the Divine. It has a faint scent of lavender that isn’t overpowering. 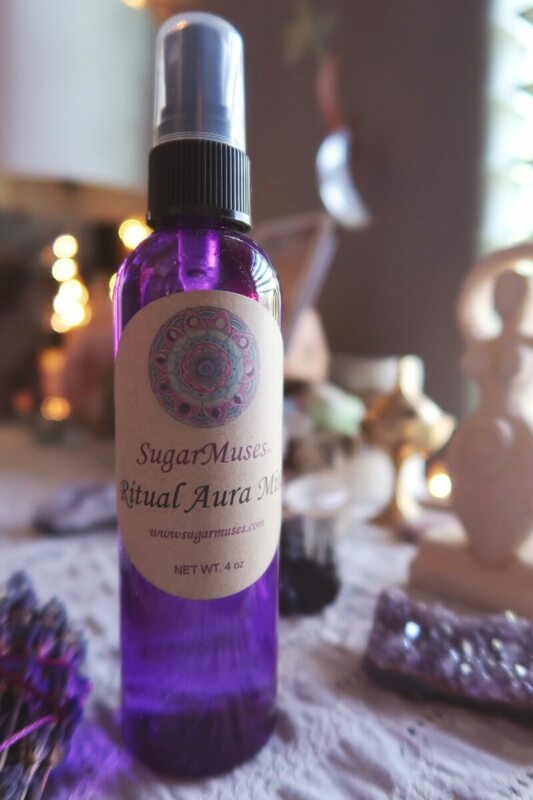 This spray is all organic created from infused lavender water, witch hazel, pure essential oils and blessed with amethyst chip stones. This mist serves as an instant aromatherapy treatment that helps shift your energy and mood. Shake vigorously and spray in a circular motion above the crown of your head or around any room or space that you want to cleanse. This is almost too pretty to burn. These bundles are lovingly grown and harvested locally. This fragrant flower is known for its healing properties as well as its use for purification and cleansing of spaces, yourself as well as any tools you will be using. Burn before and after rituals. 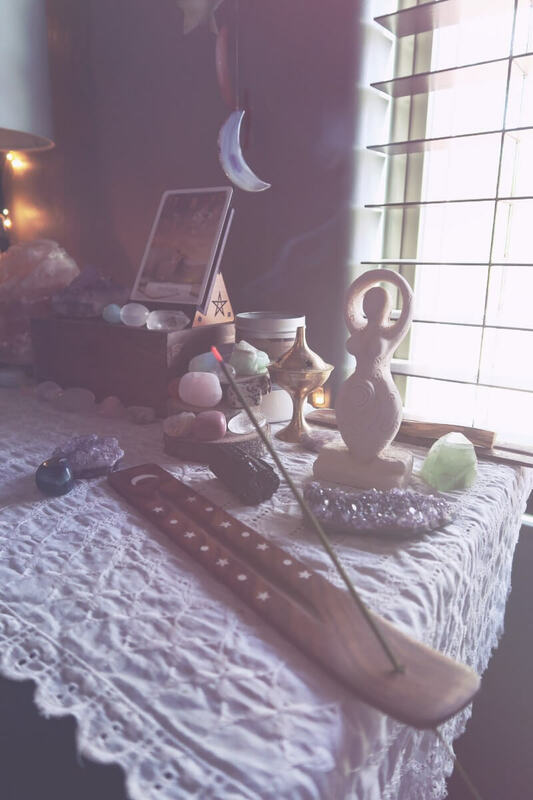 I am so picky when it comes to incense (if you haven’t noticed my trend, I don’t like things that smell overpowering because they give me headaches). 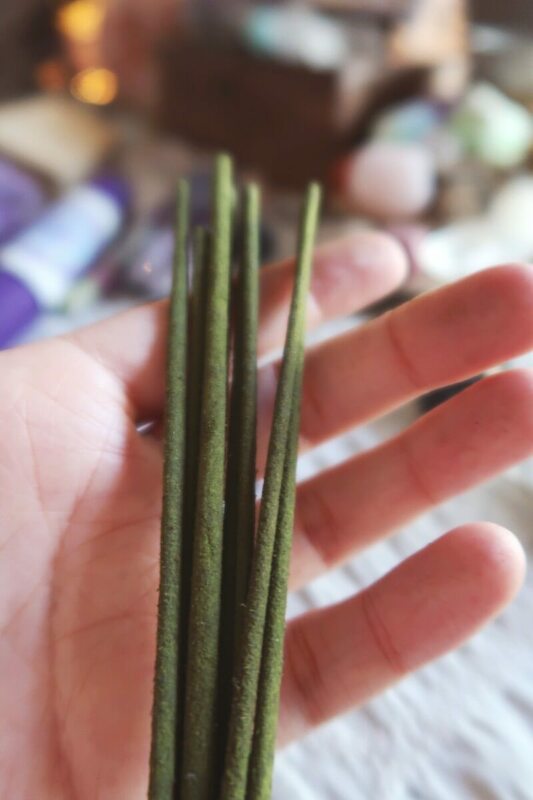 I loved the quality and scent of these incense sticks, as well as their green color that make me think of spring. 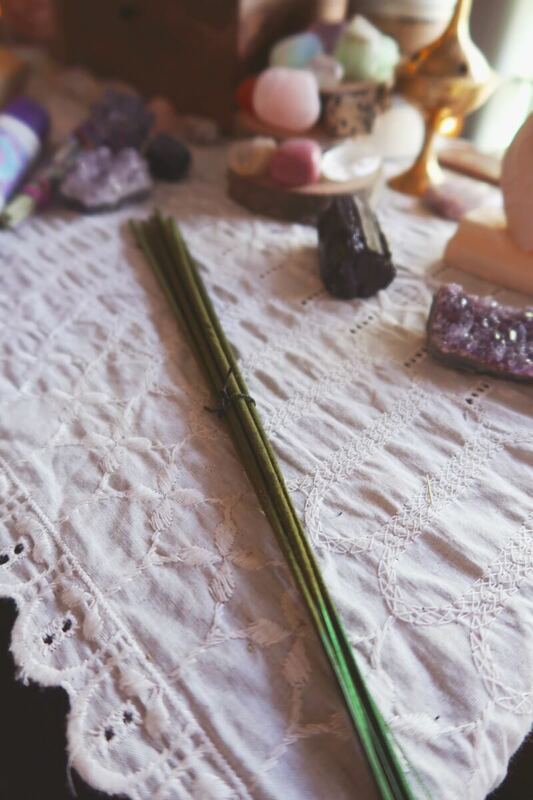 Burn this scented incense to celebrate the manifestation of empowerment and your sacred circle surrounding you. These are natural and hand rolled using a mixture of herbs, gums, resins, woods and oils. 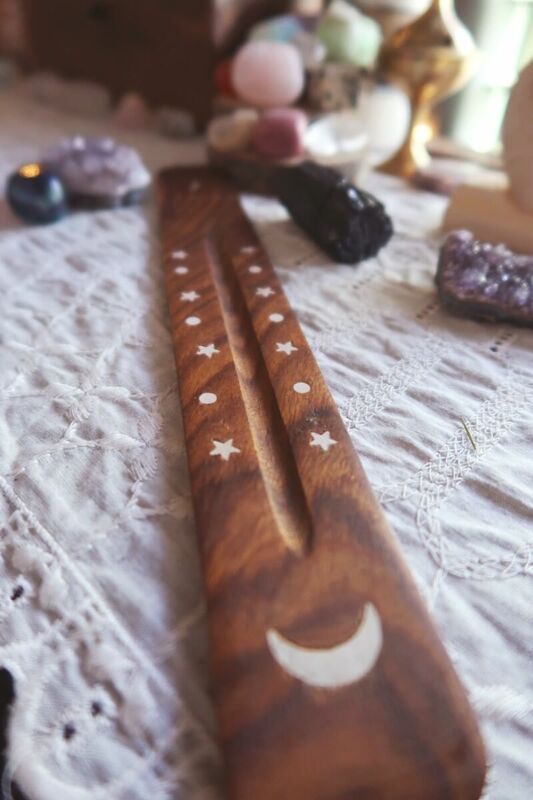 I can never have too many of these pretty moon incense holders. I have three now and put all of them to use! 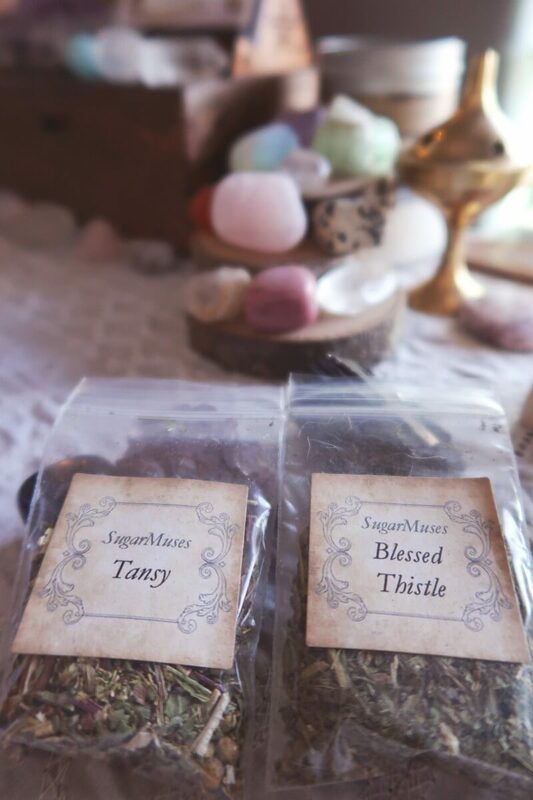 Blessed Thistle (masculine) is an herb of protection and vitality, it is considered to be sacred. A bowlful placed in a room strengthens the spirits and renews vitality. It may be carried for added strength and energy. Tansy (feminine) is an herb of longevity and vitality, it honors the Divine Feminine principal of the Universe. Tansy is sometimes used in rituals celebrating womanhood and is said to be an herb of Mother Goddesses. I am really excited to use this incense. I love that you can just sprinkle it on top of any candle. This blend includes white sage, lavender, bay leaf and white copal. 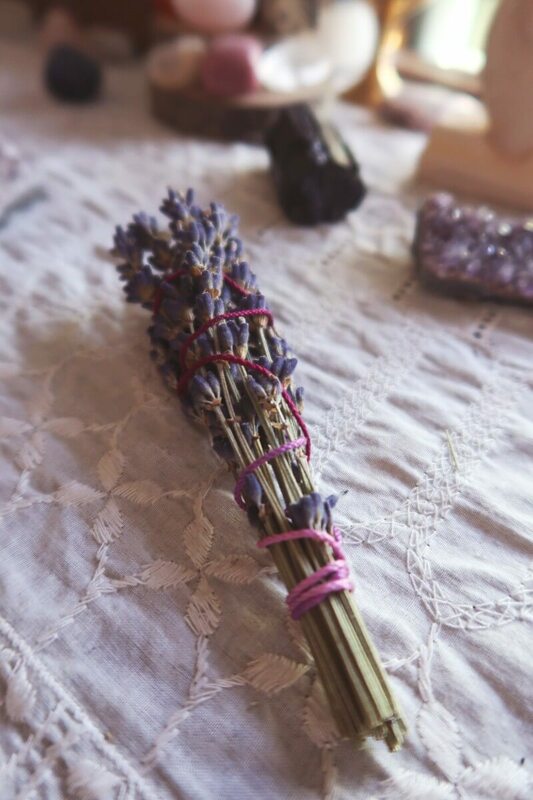 This herb smudge mix can be used as a porporri, burned on a charcoal disk (in a heat proof dish) or sprinkled on top of a candle for an instant smudge. 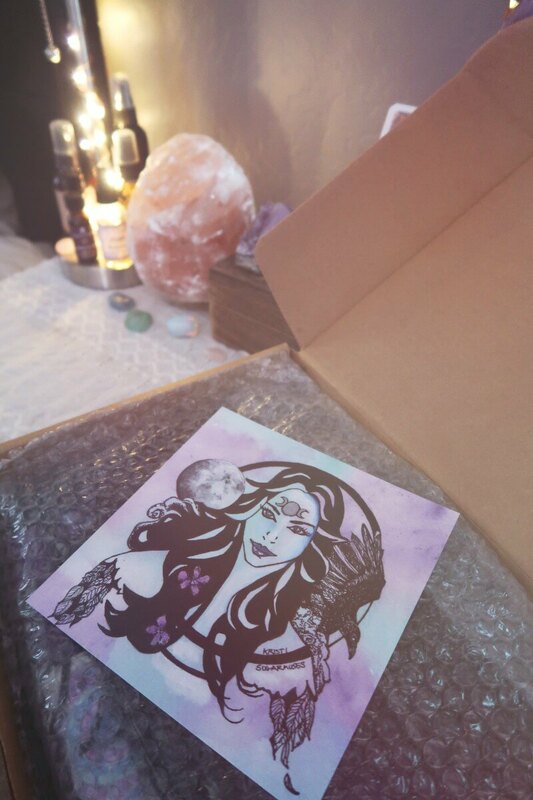 The last item in our box was this beautiful artwork design by Kristi, the box’s creator. I think this was such a unique and special item to include in a box. I created this design just for this month’s box. This exclusive hand painted original was created with watercolor, pen and ink. So that was everything we received in SugarMuses deluxe April box! I was very happy with the box and can easily recommend it. It’s a great price and you receive a thoughtfully put-together box full of useful, helpful, quality items. Have you subscribed to this box and if so, what are your thoughts? I’d love to know in the comments below. Is there a way I can order the April Box? I love everything in it. I would try going to their actual site or emailing them and seeing if they still have a box they could send you!